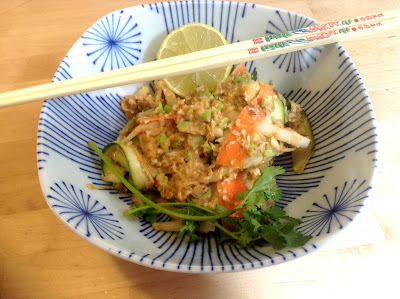 Inspired by a recipe I found on Health-Bent, I decided to make a healthier version of traditional pad thai. 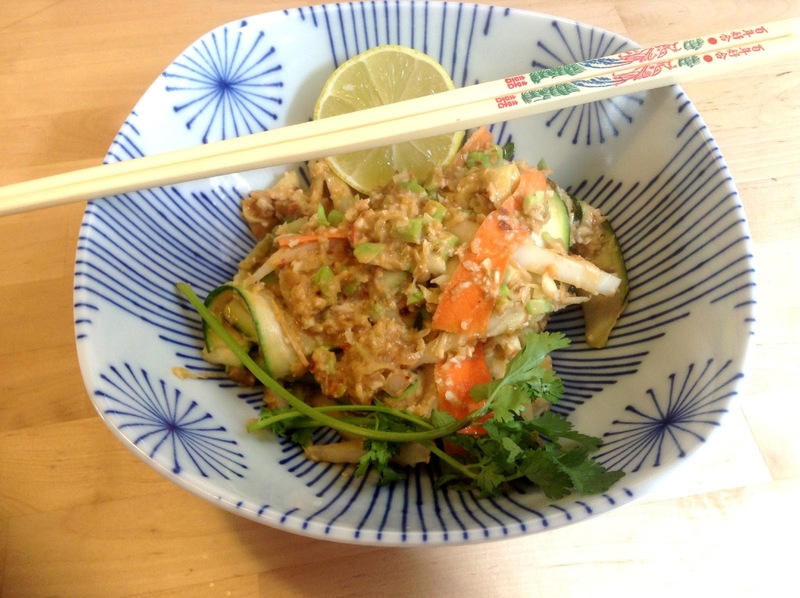 Just like most people, I like pad thai in restaurants. Problem is, it's typically full of sugar and other questionable ingredients. So I thought it would be nice to make a more whole foods version with all veggies topped with a healthier sauce. Mostly I followed the recipe from Health-Bent, but I used evil peanut butter instead of almond butter because I had it on hand and I like it. I also used shallots instead of onion, and used only 1 tablespoon of coconut oil, and mostly water sauteed. In addition to the zucchini noodles they showed, I used a mix of grated cauliflower, grated broccoli, sliced nappa cabbage, and a bit of carrot. 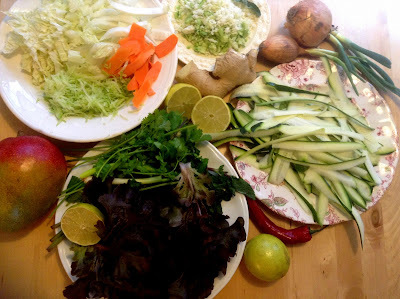 I was already prepping and chopping veggies for another recipe I planned to make, Vietnamese summer rolls. That's a lot of chopped veg! Delish! I squeezed the juice of a lime over it, topped with cilantro and slurped it up! I'll definitely make it again. Thanks Health-Bent!